The 1st High Level Meeting of the International Organizations has today been held as part of the Baku-hosted 4th World Forum on Intercultural Dialogue. First Vice-President of the Republic of Azerbaijan Mehriban Aliyeva addressed the event. First of all I would like to welcome you to the 1st High Level Meeting of the International Organizations in the framework of the 4th World Forum on Intercultural Dialogue. I would also like to express my deep gratitude to our partners of the Forum for their active support in holding this important event for the first time. Before moving on to the topics of the sessions of this event I would like to say a few words about our country. Azerbaijan is one of the few countries in which the world’s geographical and cultural differences meet. Baku – the capital of Azerbaijan is harmonious combination of East and West, and of contemporary and historical eras. Throughout its history, Azerbaijan has sheltered various communities and nationalities of diverse backgrounds and religions, living in conditions of mutual co-operation and friendship. Known as the Gate to the Orient, and located at the crossroads of different cultures and civilizations, East and West, North and South, and being a member of both Islamic and European organizations, Azerbaijan unites the values of multiple civilizations. Besides the significant role played by the various peoples populating Azerbaijan in the country’s public and political life, we can see clearly how they are fully able to preserve their ethnic values, religions and traditions. The atmosphere of national and cultural diversity, coupled with ethnic and religious tolerance in Azerbaijan has turned this country into a land of many nations and faiths, as well as a platform of cross-cultural dialogue at a global level. Azerbaijan has a long history of fruitful and efficient cooperation with various international organizations and we are proud to host this first meeting that underlines the growing role of Azerbaijan in the field of promoting intercultural dialogue on an international scale. The 1st High Level Meeting of the International Organizations is organized in partnership with the Government of Azerbaijan, the Council of Europe, UNESCO, the United Nations Alliance of Civilizations (UNAOC), ISESCO, the United Nations World Tourism Organization (UNWTO) and the FAO. 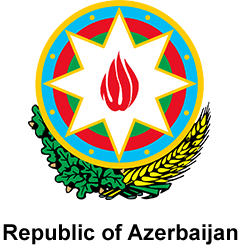 Being an active member of these organizations, Azerbaijan has organized numerous important international events. Azerbaijan is also one of the few countries which is a member of both the Council of Europe and the Islamic Cooperation Organization. We are proud that the active cooperation between these two leading international organizations started in Baku in 2008. Today the Baku process is a very important and unique international initiative. It is symbolic that by the end of May Baku will have been home to the 1st ever European Games, which it hosted in 2015, and the 4th Islamic Solidarity Games, which are due to start next week. Across the two events, Baku will have hosted participants from over 100 countries. We consider this to be a part of the Baku process. Apart from important political initiatives which bring nations and religions closer together, Azerbaijan has implemented various humanitarian and charity projects in different parts of the world. Allow me to mention some of them. — restoration of the « Hall of Philosophers » in the Capitoline Museum in Rome, Italy. These examples give you a clear idea about our strong belief in the merits and potential of intercultural dialogue. Our contribution to the preservation of global cultural heritage demonstrates Azerbaijan’s longstanding commitment to the values of multiculturalism. Today, the world seriously needs to preserve and promote the values of civilizations that enjoy mutual understanding and enrich and support each other. In the framework of this process, a great responsibility lies with governments, politicians, international organizations and the media. This process still faces significant challenges today. Millions of people around the world still continue to suffer from poverty, hunger, social inequality, health threats, and others face natural or man-made disasters, violent extremism, terrorism and related humanitarian crises. We can practically say that in some cases the international law is not respected or its norms are violated by double standards. Actually, issues related to human lives, and the right of everyone to a safe life should be upheld as the most cherished principles. In this regard, intercultural and interreligious dialogue and co-operation, coupled with principles of understanding and respect, stand in the core of development of societies. In order to realize our goals mankind needs to overcome the barriers of extremism and xenophobia by interacting with each other and building stronger ties across nations. We highly appreciate the assistance carried out by the international organizations and financial and economic institutions and recognize that as an integral part of this process. The goal in realizing this High Level Meeting is to bring together the world’s political, cultural, economic, social, financial and other international organizations to debate human security, sustainable development and issues related to inclusive society. We also aim to encourage joint actions to settle tensions between cultures and civilizations often times stemming from religious, cultural and social constraints. This initiative will establish an additional platform to mobilize resources and conduct shared activities in order to make the world a safer place. Participants of the 1st High Level Meeting of International Organizations have committed themselves to fostering intercultural understanding, tolerance, mutual respect and an ethic of global citizenship and shared responsibility. We all recognize the cultural diversity of the world and agree that all cultures and civilizations can and should contribute to sustainable development. These are not easy issues to resolve. We may all have different cultural backgrounds and our own views on various subjects but I believe we should all at least recognize the existence of different perspectives and remain open to them. Even if engaging in dialogue does not guarantee immediate agreement, simple understanding of others serves as a reasonable beginning in an attempt to bridge the gap between ideas and perceptions. It is certainly better than conflict. In conclusion, I would like to wish you interesting and fruitful discussions that should strengthen our conviction to continue the dialogue and enable us to successfully overcome numerous challenges that we are all facing today. The 1st High Level Meeting of the International Organizations continued with sessions.